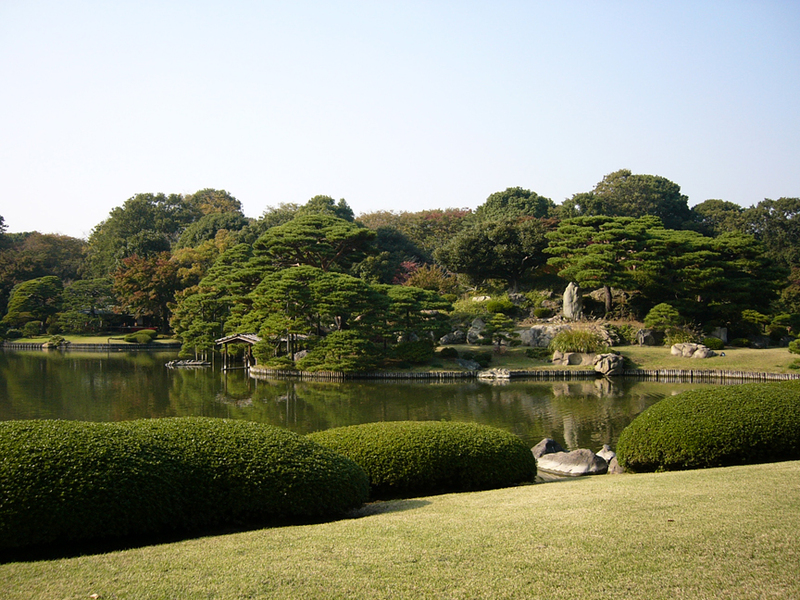 Rikugi-en garden is one of the most beautiful Japanese gardens in Tokyo. Komagome has two of the most beautiful Japanese gardens in Tokyo, stores that sell traditional goods, and an old-fashioned Japanese shopping street. Let’s start at Rikugi-en. This garden was built in 1695 by the 5th shōgun’s grand chamberlain, and was cleverly designed to include 88 views that are described in famous waka (31-syllable) poems. You don’t need to know the poems to appreciate the snapshot-perfect views everywhere you turn. 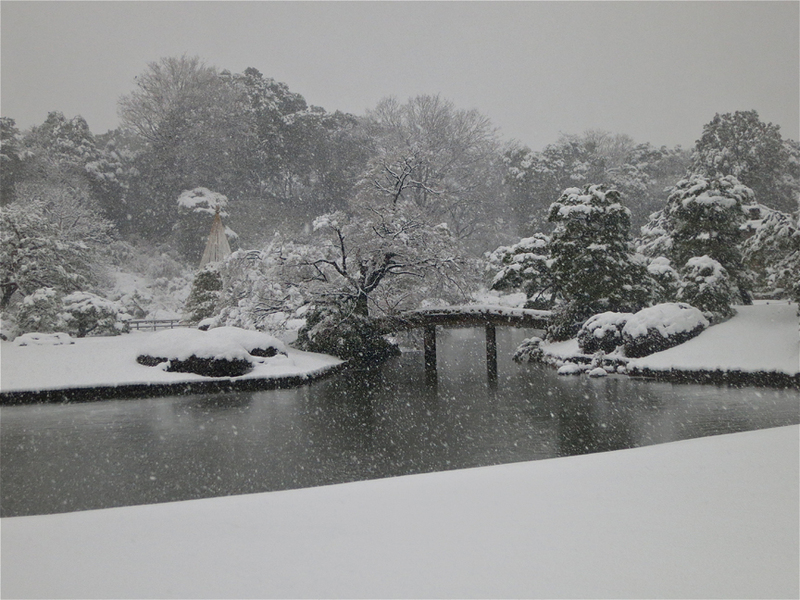 Rikugi-en is designed to look beautiful and different in every season. In early April, the weeping cherry tree near the entrance draws record crowds of camera-toting visitors. 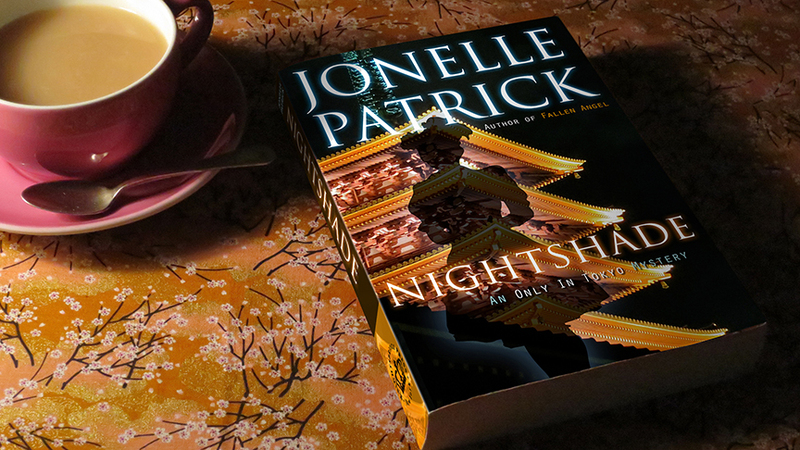 Later that month, azaleas of all colors cover a steep hill just beyond the teahouse. This garden is so famous for its brilliant autumn leaves and cherry blossoms that special evening hours are added in November and April. The trees are lit up with spotlights so people can enjoy them after work. 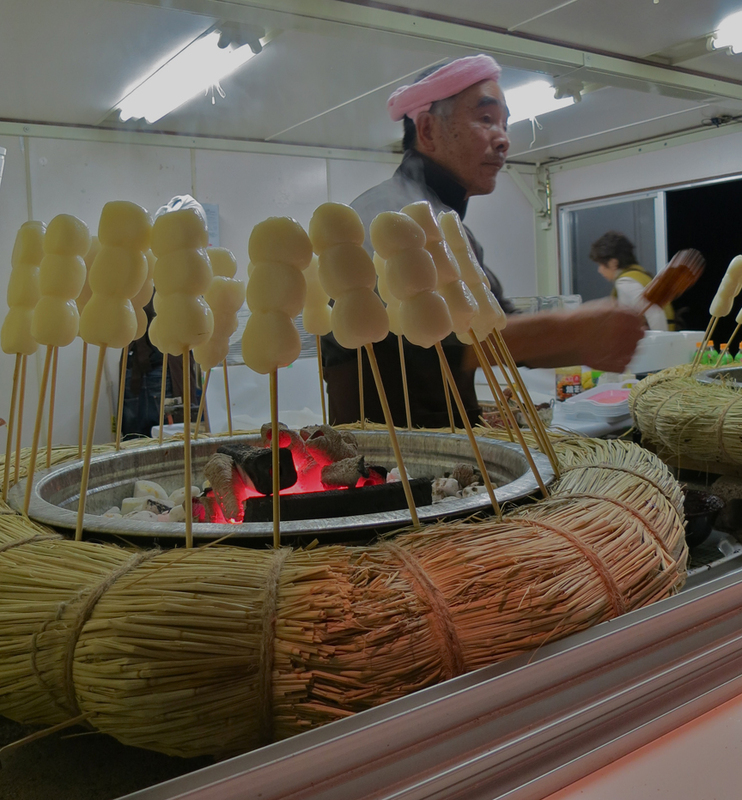 During leaf season and cherry blossom season, they often have special food stands set up in the park, selling traditional foods like skewers of roasted mochi (sticky rice cakes) dipped in soy or miso sauce. The Komagome neighborhood is great too. On the main street leading from the station to Rikugi-en’s side entrance, there are some small shops selling indigo-dyed goods. If you’d like to try traditional shibori (knotted resist) indigo dyeing yourself, look for the small shop with indigo goods hanging outside and big square vats of dye inside. (The sign is in Japanese, but don’t let that scare you away.) For about ¥1500 the nice ladies will teach you to shibori-dye your own handkerchief. The shop with do-it-yourself dyeing has a few racks of clothes on the sidewalk, and looks like this when you peek through the doorway. First they’ll show you samples of various shibori patterns. After you choose which one you want to make, they will teach you how to wrap the cloth and dye it. It takes about an hour from start to finish, and in the end you’ll have a traditionally-dyed souvenir that you made yourself. They are open every day from 10:00 am to 6:00 pm, and there is no need for a reservation. They only speak a little English, but are very good at communicating with foreigners. Children are welcome. Cash only. Keep going along the street, past the station, and in a few blocks you’ll come to the Shimofuri Shopping Street, branching off to the left. Shimofuri is a typical Japanese shopping street: a tofu maker, fishmongers, a geta and kimono shop, a tea ceremony sweets store, and an excellent soba shop for lunch. 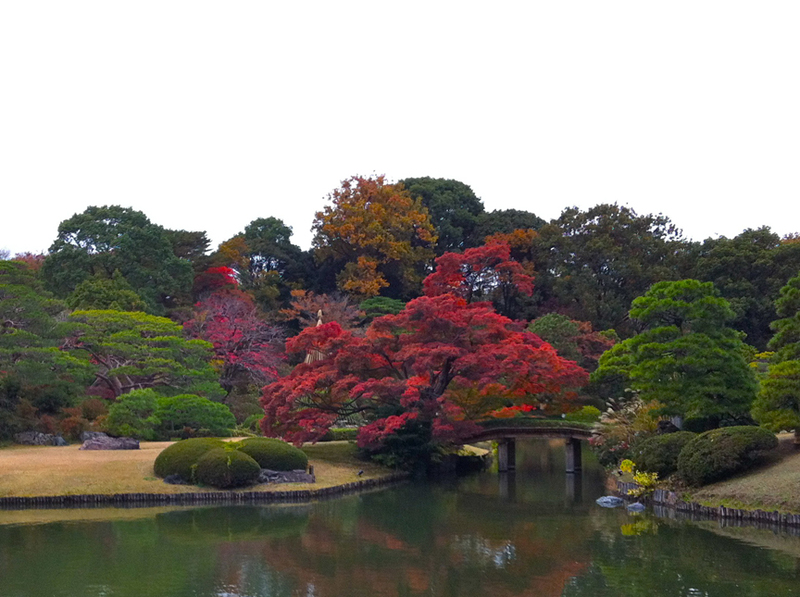 A few blocks past Shimofuri (take a left after you get to the end of the big stone wall) is Kyu-Furukawa Gardens. The Meiji-era stone chateau’s Japanese garden is beautiful in every season, and its rose garden blooms famously in June. Komagome is right next door to Sugamo, home of the Koshinzuka Shopping Street. The street market is really fun and not to be missed on the 4th, 14th & 24th of each month, but it’s entertaining in a very retro way on other days too.